Try your luck with our grab bag! Each bag contains: 1 men's wallet, 1 women's wallet and 1 card case. 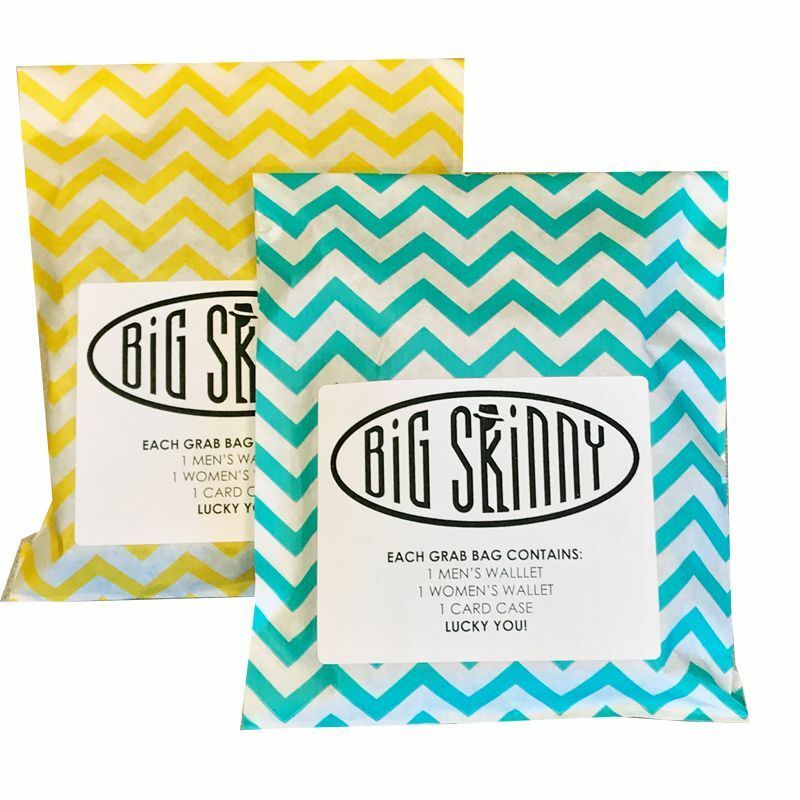 Styles and colors vary per grab bag - after all, that's the nature of a grab bag! Exterior package will vary slightly, price will not be shown on bag. Each bag is valued between $50-65!! What a deal! Our Grab Bags are Final Sale* items, so we hope you enjoy! Our Materials and Workmanship Warranty does not apply to the Grab Bag. *Grab Bags cannot be returned or exchanged after purchase. Purchased as a gift but all items look fantastic. I've owned many Big Skinny products and they are quality!